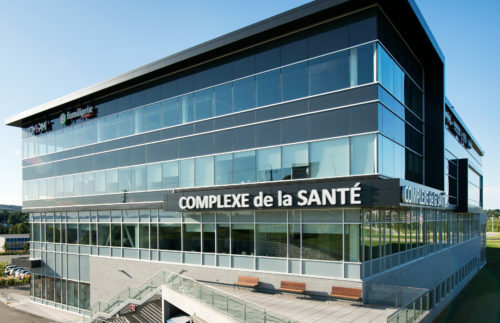 The Complexe de la santé is located at the intersection of Highway 410 and King Street West, adjacent to Costco. 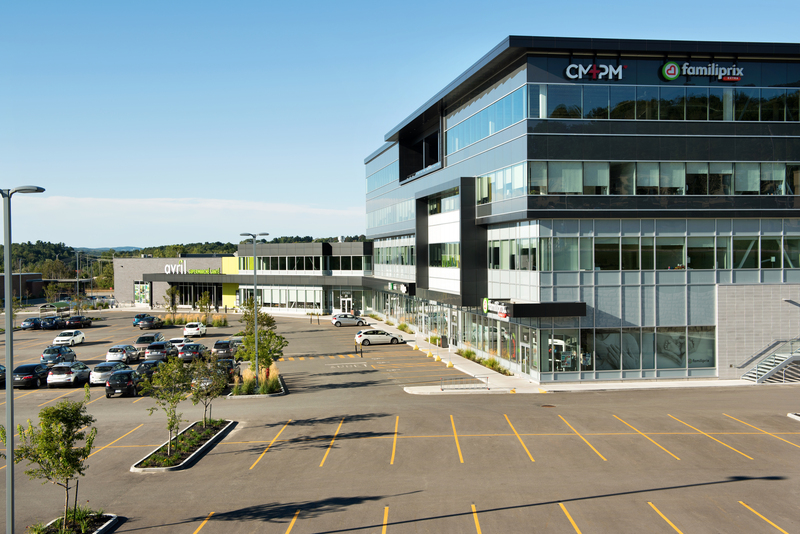 It is an exceptional location with more than 70,000 vehicles per day at the intersection of King Street West and Highway 410. Its health vocation makes it a reference site in Sherbrooke. Several services are grouped under one roof: medical clinic, health supermarket, pharmacy, clinical research, spinning studio and hot yoga, radiology, physiotherapy, occupational therapy, injection clinic, orthotist, audiologist and many others. 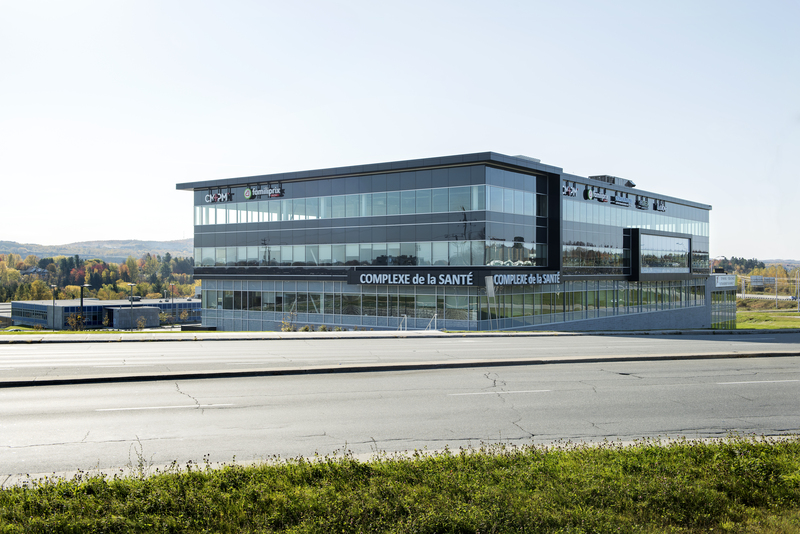 The Complexe de la santé has approximately 136,000 square feet of office and commercial spaces. Easy access from all directions with the traffic light. Approximately 600 outdoor parking spaces for guests and 175 indoor spaces for employees. 4 floors, elevators and green roof terrace for employees. Building for health purpose grouping different affiliated services. 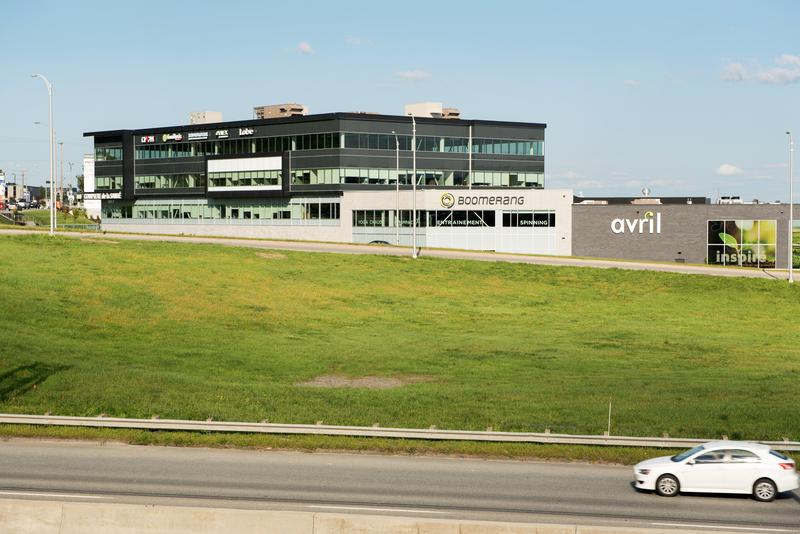 Exceptional location with more than 70,000 vehicles per day at the intersection of King Street West and Highway 410. 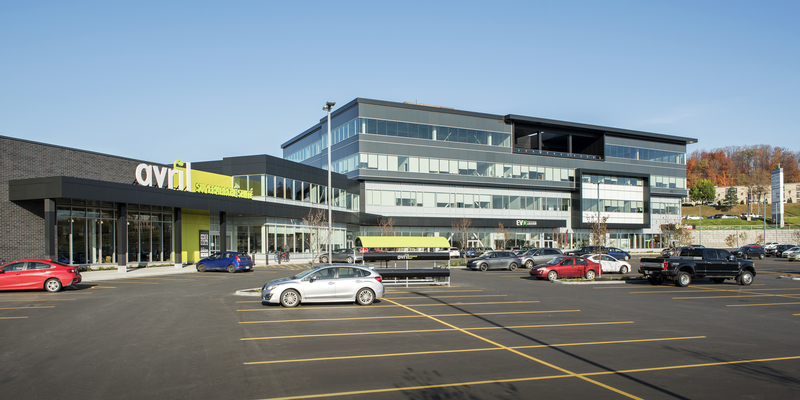 Large outdoor parking of approximately 600 seats in addition to 175 indoor parking spaces.